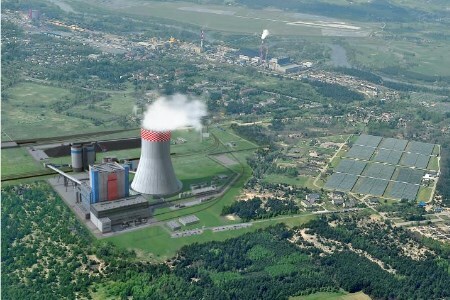 On 12 July, Elektrownia Ostroleka and GE Power signed a contract to build Ostroleka C, an ultra-supercritical coal power plant in the northeast of Poland. GE Power will design and build the power plant, as well as manufacture and deliver the ultra-supercritical technology components – boiler and steam turbine generator – ensuring the highest efficiency level possible for a steam power plant in Poland with 46% efficiency, well above the global average of 33%. This represents a 26% reduction in CO2 emissions for each MW produced. GE Power will also supply air quality control systems that meet with the latest EU standards in terms of local emissions. As countries look to expand their use of renewable energy more and more, they need flexible sources of base load power that can respond quickly when renewable sources of energy are not available. High efficiency, low emission coal-fired power plants can meet that need. GE Power’s Ostroleka plant technology will be specifically designed for operational flexibility to improve start time, start fuel, ramp-up and turn-down rate, and minimum load. This plant will reach full load in less than 30 min. GE Power’s EPC expertise comes from more than 100 GW installed through 200 integrated projects and its Steam Power business was awarded twice with Coal Plant of the Year and EPC of the Year in 2015 for Manjung power plant and again in 2016 for Tanjung Bin power plant, both in Malaysia. Ostroleka C will start operating within 56 months after the notice to proceed and generate a gross output of 1000 MW, enough to power 300 000 homes in Poland.